While in the Phils last month I spotted the opening of a new lounge facility in Terminal 3 of NAIA (Manila Int. Airport) The Wings Transit Lounge. By the time I had noticed it, I had already had a nice sleep and a good breakfast in my usual place to crash S M Kenko Spa. But I popped in to checkout the place to see if it was worth a visit on my next trip. I was most interested in their ‘Capsule Room’ as the only things I don’t like about S M Kenko Spa is the communal aspect and the fact the loungers don’t go quite flat as I would like. I was allowed to go and look at one, but I didn’t photograph it as I thought that would be rude as I wasn’t a paying guest and I was being accompanied on my viewing. It looked perfectly adequate, a rectangular pod just big enough for a single mattress. If you look at the TV display in the image to the right, you can see a picture of a Capsule Room being shown. You climb in and shut a curtain behind you. Your own private space with a nice flat bed. It’s a little more expensive than S M Kenko Spa at P880 for 5 hours as opposed to P650 (P230 which is around $4.92 extra), but looks much more to my liking. Apparently the P880 also includes a ‘light meal’. 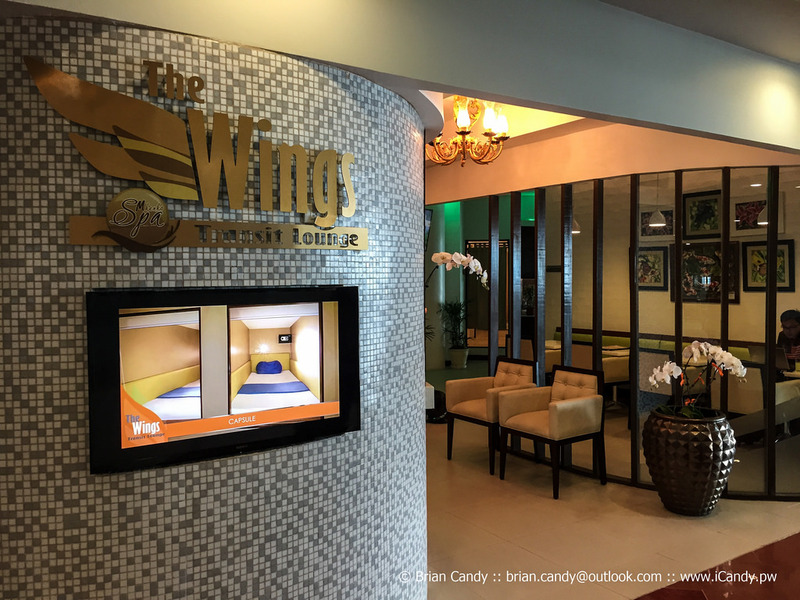 I will report back here the next time I am in the Phils as I will most certainly be giving Wings a try while I am there, and let you know what I think.